Photography by Jamie Isaia. Styling by Dani Morales. Fashion editor: Aleda Johnson; hair and makeup: Christina Nciole Errante; model: Nikki Q./State; stylist assistant: Kiyana Panton. Indigo Rd. combat boot, Manoush coat, Miss Circle plaid jumpsuit, Brick Lane blouse. Remonte boots, Mola Walker top and pants, Rachel Antonoff vest. Hikers by Bos. & Co., Smythe trench, Uniqlo check dress. 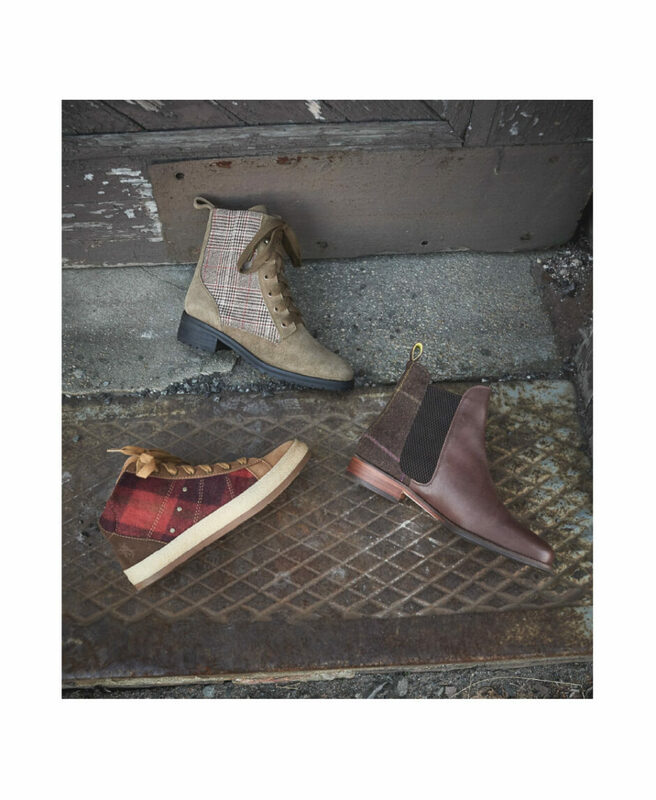 Clockwise from top: Splendid hiker, Joules Chelsea boot and OTBT hi-top sneaker. Boot by Madeline, Mola Walker blazer, top by & Other Stories. Hi-top oxfords by L’Artiste, turtleneck by J.Crew, Rachel Antonoff coat and jacket. Restricted slingbacks and C/MEO Collective skirt and top. Clockwise from left: Peep toe platforms by Guess, Marc Fisher loafer, Nine West pump, slingback by BC, and Easy Street kitten heel pump. Pump by Andre Assous, Uniqlo top, Smythe blazer, jumper by Stelen.